Was This Sinbad the Sailor? 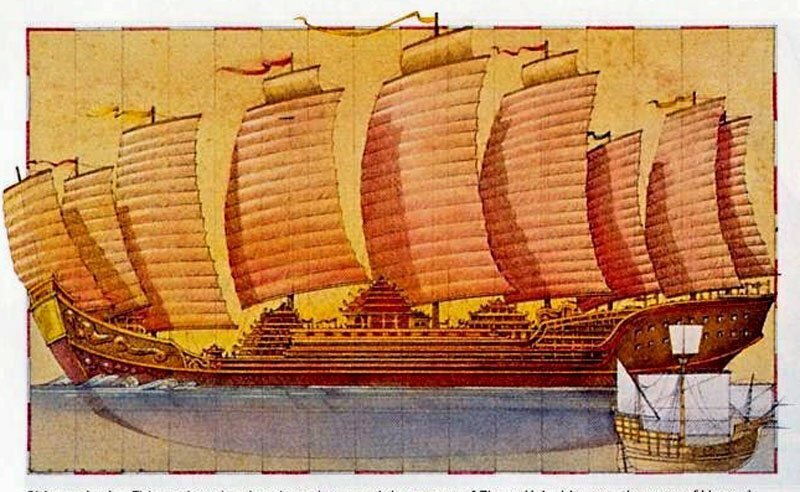 Treasure ships under the command of Zheng He. Source. 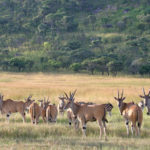 Start your year with some little-known history of Africa. Over 612 years ago, on the 11 July 1405, Zheng He – pronounced ‘tjhang ha’ – sailed out of Nanjing to start his epic voyage of trade, exploration and discovery. It was then that this giant of a man –standing over two meters tall – from China, began his Indian Ocean journey, commanding the largest known fleet ever to sail. Admiral of the fleet Zheng He. Source. 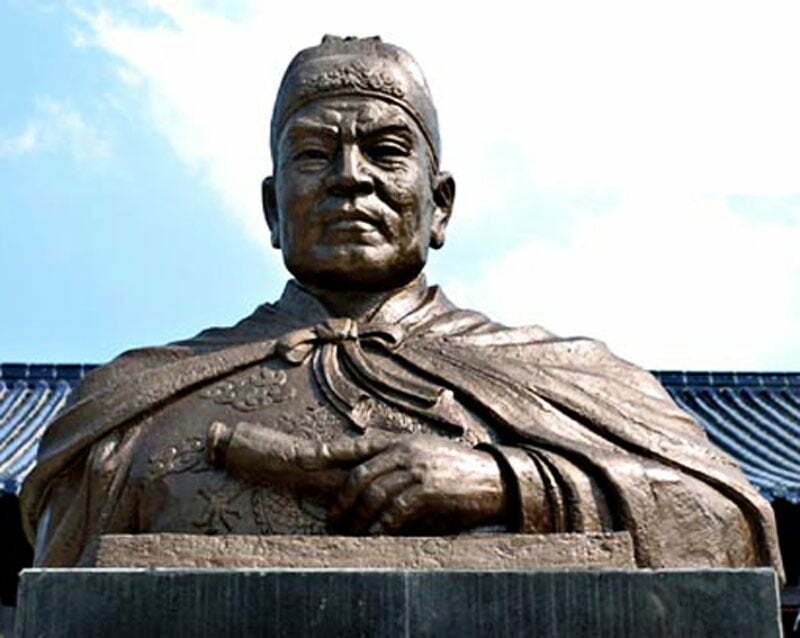 It was under the Chinese Yongle Emperor, Zhu Di – third emperor of the Ming dynasty – that Admiral Zheng He was directed to build a fleet that would sail the known seas and receive tribute from all he came in contact with. On completion, Zheng He’s fleet sailed the Indian Ocean, trading with Africa for some 28 years – from 1405 to 1433 – 55 years before the Portuguese explorer, Bartolomeu Dias, discovered the Cape of Good Hope. 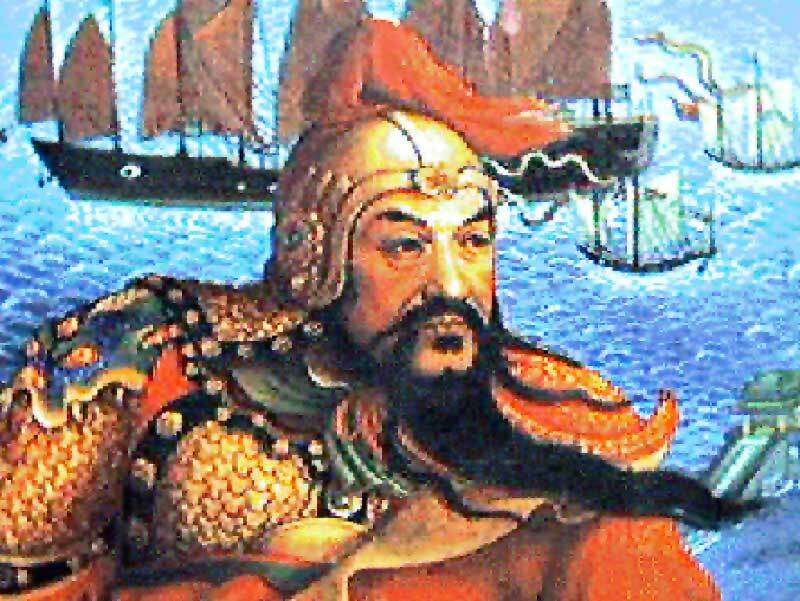 It is interesting that when Zheng He first began to trade with Africa, Dias – the first European to discover a sea route to the Indian Ocean in 1488 – was only five years old. 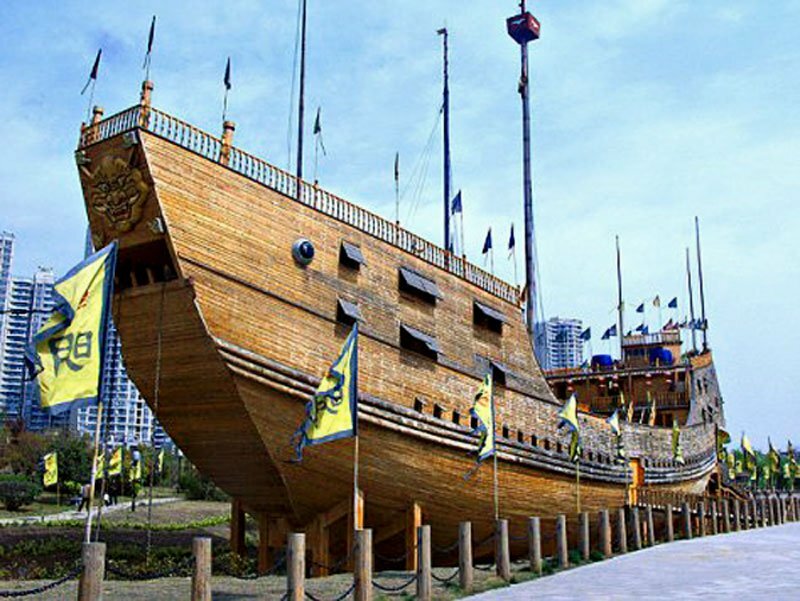 A full size replica of Zheng He’s treasure ship, at the site of the shipyard where the original ships were built in Nanjing. Source. 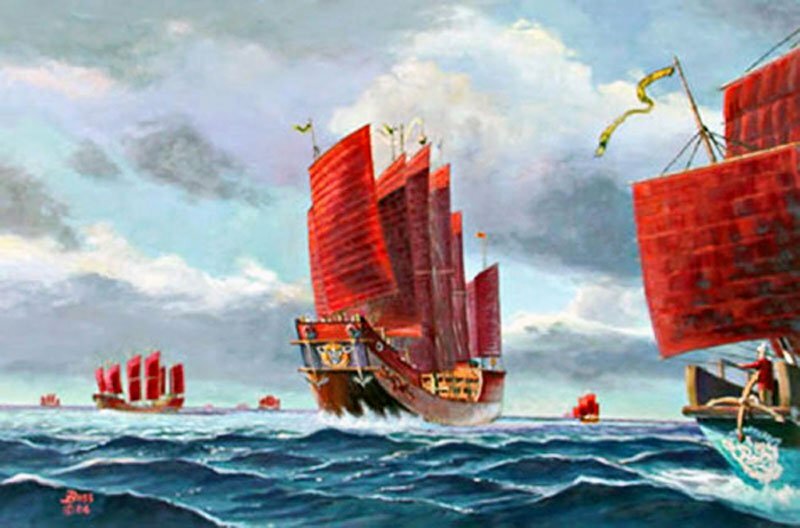 Zheng He’s fleet consisted of some 250 to 300 ships, depending on his needs for each expedition. It must be said that Noah probably built the largest wooden ship of all time. The Ark beat Zheng He’s command ship in size, although He comes close to proving it was possible to replicate the Ark’s size also using wood. 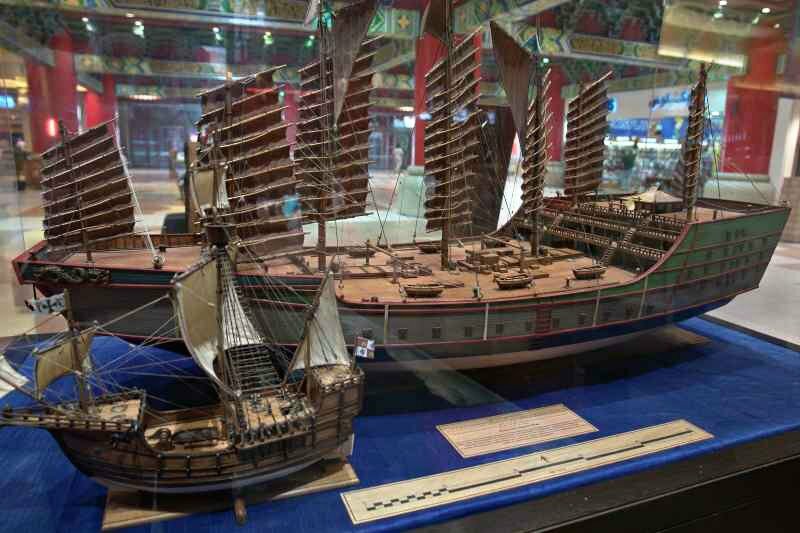 Zheng He’s Command ship compared with Vasco De Gama’s ship. Source. Subjugation was not far from China’s Yongle Emperors mind when he commissioned his huge fleet to be built and chose his leading military man to command it. This Emperor wanted to secure his dynasty in a way that no one would challenge his power and greatness. Everywhere the fleet landed, Zheng He commanded the leader of that country to pay homage and tribute to his Emperor as the greatest ruler of the world. Those who refused would be taught a lesson of China’s power from the floating military force at hand. Much to their regret, this did happen to some. 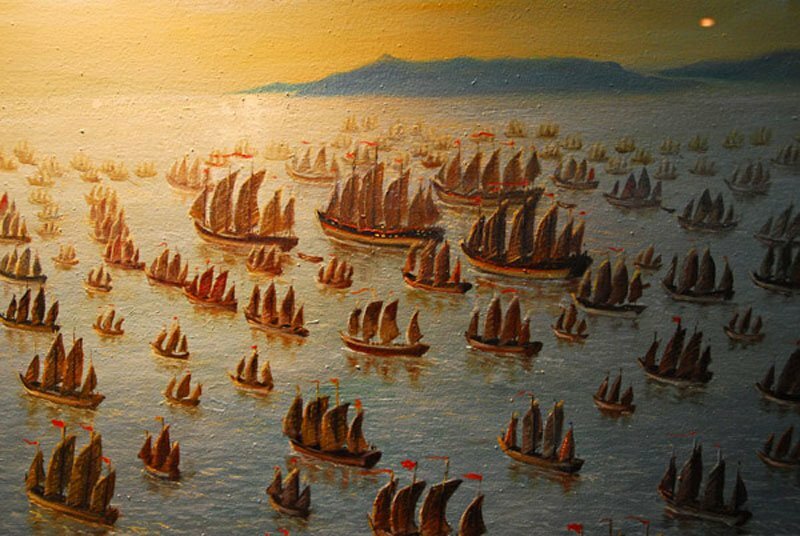 No one could imagine the vastness of Zheng He’s forces – which included explosives, soldiers and cavalry – simply by looking at the fleet out to sea. 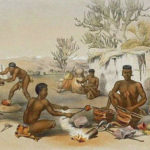 Chinese presence in southern Africa is old hat, with artifacts in the South African museums placing their presence as far back as the Han dynasty of (206 BC–AD 220). To show Chinese existence in southern Africa at the time of Zheng He’s voyages, I am referencing the burial artifacts from the Ming Dynasty of (AD 1368–1644). These objects – buried with the Chinese dead – are now in Africa’s museums. In China today, the practice of burying objects with the dead has changed. Cremation has replaced traditional burials because of the lack of space. Zheng He’s trade initiatives, together with his other exploits in the Indian Ocean, included East Africa -Tanzania, Kenya, Uganda, Rwanda, Burundi and South Sudan. 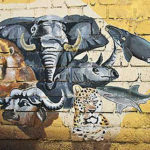 When referring to eastern Africa, Mozambique – as far South as the Komati River – is included. 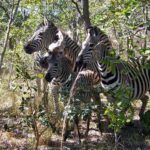 Pottery and other relics have been found along the Mozambique coastline that date back to that period in the Ming Dynasty. Even today, ancient Chinese gravestones mark the places where they were laid. These would have been for people who died on land on the islands off the Mozambique coastline. Sailors were always buried at sea. Ever heard of Sinbad the Sailor? Well many believe Zheng He and his exploits fit Sinbad’s profile very well. I personally prefer to stay with facts rather than fiction when establishing reality. A tame giraffe brought from Africa in the twelfth year of Yongle 1414. Source. Getting down to brass tacks, the sheer sizes of this man’s ships are a wonder even by today’s standards, never mind boats made of wood. 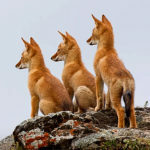 I have used many images to demonstrate using comparisons for what we are talking about. 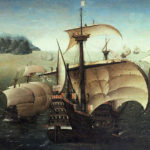 The command and treasure ships had nine masts, weighing 1500 tons, was 126 meters – 416 ft – long by 52 meters – 170 ft wide and numbered 62. The other 190 support ships constituted the rest of the fleet and included eight-masted cavalry ships of 103 meters – 339 ft long and 42 meters – 339 ft wide. While the seven-masted supply ships were 78 meters – 257 ft – by 35 meters – 115 ft – wide and carried the food and hardware needed. Included, were five-masted Fuchuan warships at 50 meters – 165 ft long by some 20 meters – 65 ft wide. Then there were the six-masted troop ships at 67 meters – 220 ft long by 25 meters – 83 ft wide made up the rest of the personnel carriers. And don’t forget the nine-masted water tankers at 126 meters – 415 ft – by 52 meters – 170 ft – long. Then for good measure he had to have little patrol boats at 37 meters – 120 ft – long. It’s interesting to note these patrol boats were bigger than Bartolomeu Dias’ exploration ship. Something I have wondered about Zheng He is how he managed to keep all those ships in one clutch during a typhoon? I wonder if Zheng He, ever thought to consider how big his pond was? 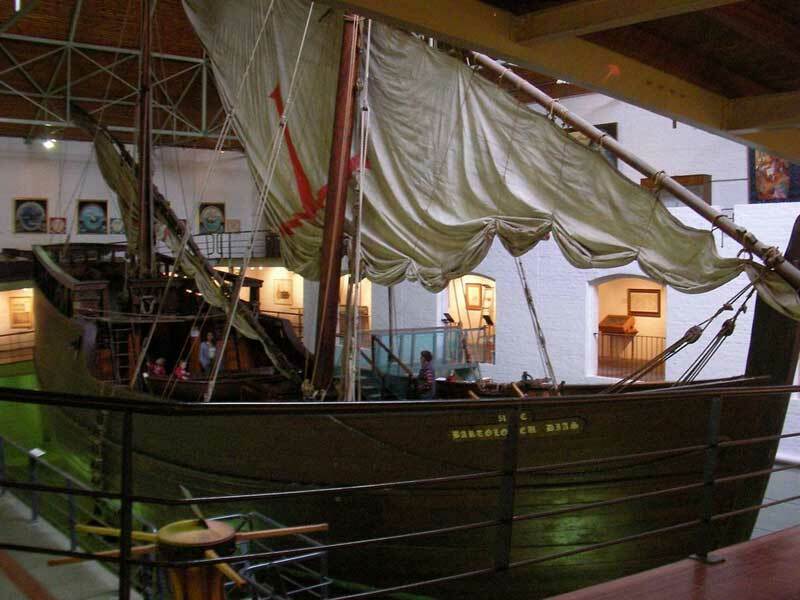 Bartolomeu Dias’ caravel replica 1988 at 23.5 meters long, with approximately 130 ton displacement in Mossel Bay. Source. See the story. Zheng He’s statue in front of his tomb in Nanjing, Jiangsu Province, China. Source. To see this, means you have lasted this far. So here’s a bonus for you.